With the aforementioned family wedding behind us, I've gotten a jump start on Easter sewing. Last week I went on a caffeine fueled sewing frenzy, and sewed the fabric stack shown above, into Easter/Wedding outfits for my little ones. I haven't photographed them yet, and (maybe you've noticed) I've figured out a way to make 3 post out of one project, so I'm just going to go with it. 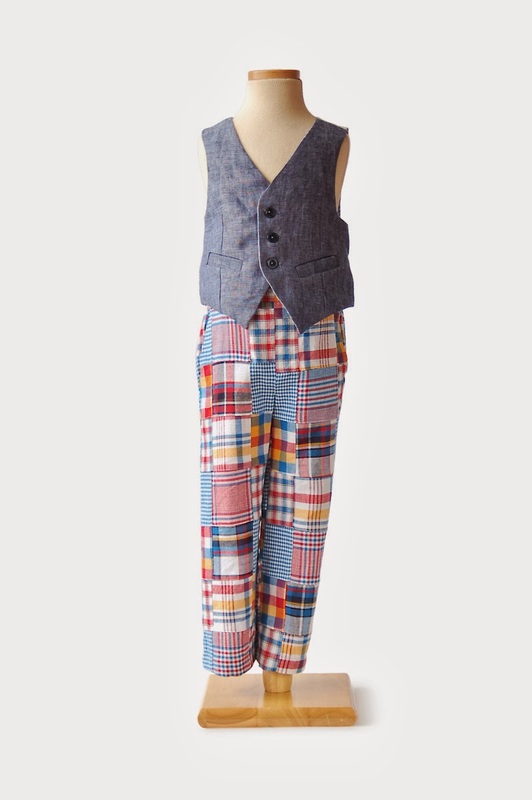 For J: Oliver + S Art Museum Vest in the blue pin stripe linen. For J: Purl Bee Little Boy's Tie to be made in the Liberty print. 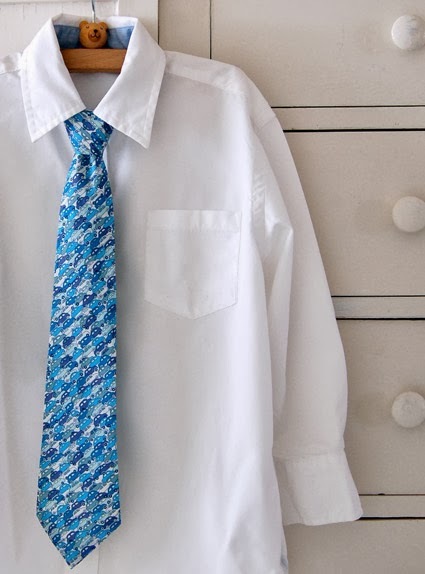 A "real" necktie for boys, not the tie-on-a-strap that tends to look like a necklace. For L: Something along the lines of this high/low number by Popelin. Bodice in the linen pin stripe, skirt in the pink cotton, accents on it somewhere in the Liberty print. 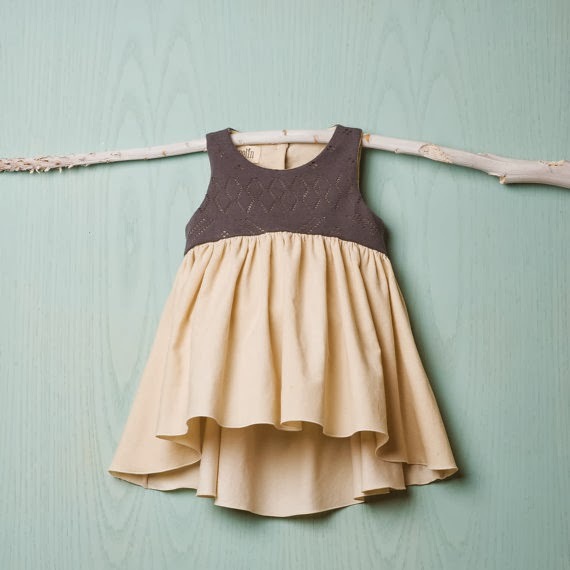 The proportion of the above dress is just perfect, but it is a baby size and I'm making a 4T. I've drafted my own pattern, L has already worn it once, and I'm still tinkering. Thank you Brienne. I have also been admiring your lovely blog. We have hand knit pointed hats in common! Such lovely Easter outfits! They are just perfect for any kind of party. Thanks for the inspiration. My son’s 7th birthday is coming and I am planning to host a surprise party for him. Thus, started looking for good party venues for kids and themes suggestions.